For other places with the same name, see Greytown (disambiguation). 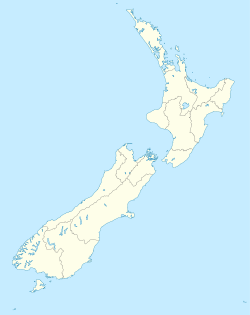 Greytown or Te Hupenui, population 2,001 (as at the 2006 Census), is a town in the Wellington region of New Zealand. It lies in the Wairarapa, in the lower North Island. It is 80 km north-west of Wellington and 25 kilometres southwest of Masterton, on State Highway 2. Greytown was first settled on 27 March, 1854 under the Small Farms Association Settlement Scheme and was named after Governor Sir George Grey, who arranged for the land to be bought from local Māori. It became a Borough in 1878 and a ward of the South Wairarapa District Council in 1989. The first Arbor Day celebration in New Zealand was held in Greytown on 3 July 1890. Greytown Beautification Society has done a lot to keep the spirit alive for many years, especially Stella Bull and the park bench in the park dedicated to her, which states, "Only God can make a Tree". Today the town has many beautiful trees and a register is kept to help protect them. In the 1870s, when the Public Works Department announced plans that the Wairarapa Line railway between Featherston and Masterton was not going to pass through Greytown, local protests were successful in attaining approval for a branch line to the town. It ran to Greytown Railway Station from a junction with the Wairarapa Line in Woodside and opened on 14 May 1880. For a few months, it acted as the terminus of the Wairarapa Line itself before the extension to Masterton opened, but once it was relegated to branch line status, it was one of the quietest railway lines in the country. It was closed on 24 December 1953, and at the time of closure, its revenues were only a tenth of its operating costs. Greytown travellers are now serviced by Woodside Railway Station on the Wairarapa Line. The town is proud of its history, claiming to have the most complete main street of Victorian architecture in the country, and of being New Zealand's first planned inland town. It certainly has played these assets up, today creating a revival largely based on its architecture. Retailers like the butcher have reversed their 1970s street frontage and reverted to a more Victorian one. The Cobblestones Museum, a regional history museum, is located on Greytown's Main Street, and contains several Historic Places Trust category II buildings. Heritage buildings are protected by the Greytown Community Heritage Trust. The Greytown Hotel claims to be one of New Zealand's oldest surviving hotels. Greytown had previously been marketed as "The fruit bowl of the Wairarapa" when fruit was grown on the west of the town with orchards like Westhaven and Pinehaven. More recently, Greytown orchardist John van Vliet attracted controversy on a national level by using an explosive device to kill starlings in an orchard, resulting in the deaths and maimings of numerous birds. Greytown is a popular weekend and holiday destination. The main street is packed with antique stores and cafes. The soldier’s memorial park is often full of campers during a long weekend or a holiday. Greytown Rugby club, established in 1877, is one of the oldest in the country. Greytown Cricket Club  is the 2nd oldest cricket club in New Zealand, it was established in 1867, 10 years before test cricket began! In recent years, Greytown Cricket has been the powerhouse of the Wairarapa competition, with all 3 Senior teams winning their respective competitions in the 2005-2006 season, and almost repeating the feat (2 out of 3) in 2006-2007. Greytown also has a primary school hosting around 320 pupils as of 2008. The school celebrated its 150th anniversary in 2007. 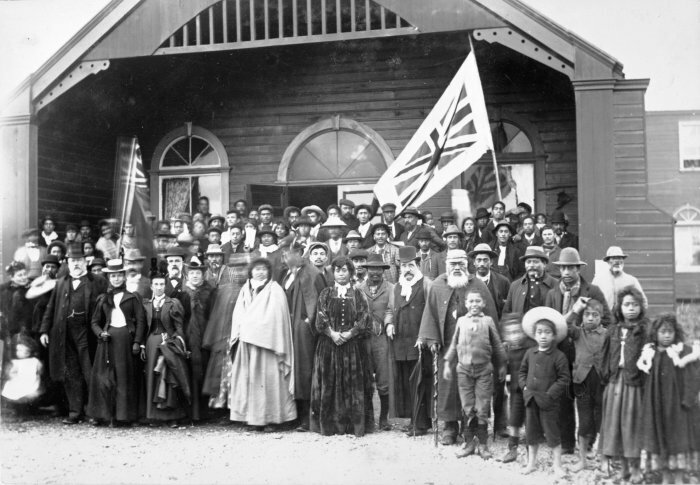 The opening of the Māori Parliament at Pāpāwai, Greytown, 1897, attended by Premier Richard John Seddon. Pāpāwai marae is located just to the east of Greytown. Its meeting house, named Hikurangi, dates from 1888 and is unique in that the magnificent carved ancestors which surround the pā face inward. In the late 19th century Pāpāwai was an important site of the Kotahitanga, the Māori parliament movement. In the 1890s, sessions of the Kotahitanga parliament were held at Pāpāwai, and were reported meetings in Huia Tangata Kotahi, a Māori-language newspaper published by Īhāia Hūtana from 1893 to 1895. A large building was constructed at Pāpāwai to house the parliament, and were used for sessions in 1897 and 1898. The parliament passed a resolution to end the sale of Māori land and was visited by Governor General Lord Ranfurly, and by Premier Richard Seddon. From the 1910s Pāpāwai fell into disrepair, and little was done until the 1960s when conservation work was carried out on the carved figures. In the late 1980s the Pāpāwai marae was fully restored, and is once again in full use by the community. The Māori name for Greytown is Te Hupenui, the literal translation of which is "the big snot", better translated as "the fluid that comes out of your nose at a tangi or funeral. ^ "Greytown Hotel - Official Site". http://www.greytownhotel.co.nz/. Retrieved 11 August 2009. ^ Angela Ballara & Don Hutana. 'Hutana, Ihaia 1843/1844? - 1938'. Dictionary of New Zealand Biography, updated 22 June 2007. ^ Ben Schrader, 'Wairarapa places', Te Ara - the Encyclopedia of New Zealand, updated 25-Sep-2007. ^ "It's not all in the name". Wairarapa Times-Age. 5 September 1998. Archived from the original on 2007-08-10. http://web.archive.org/web/20070810194341/http://wairarapa.co.nz/times-age/news98/980906.html. Retrieved 2007-10-05. This page uses content from the English language Wikipedia. The original content was at Greytown, New Zealand. The list of authors can be seen in the page history. As with this Familypedia wiki, the content of Wikipedia is available under the Creative Commons License.